Business Rescue Coaching | Is Financial Constraint the Greatest Hurdle for Women in Small Businesses? 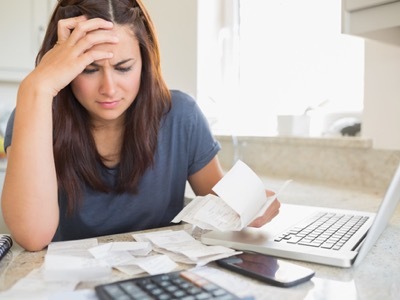 Is Financial Constraint the Greatest Hurdle for Women in Small Businesses? 06 Feb Is Financial Constraint the Greatest Hurdle for Women in Small Businesses? Research studies in Germany have found that the probability of a woman being a business owner increases by 7.1 percentage points with a 1% increase in personal wealth. Among males, the probability is only 1.32 percentage points. This suggests that access to finance may be a substantial impediment to business ownership for females. Consistent with what we see in the US, women are more challenged to get bank loans or financing for their businesses and are more likely to use personal funds. This could have a detrimental impact on their ability to grow their companies. Overall, women tend to be more conservative with their money – possibly because they have less of it. Women have been found to be paid less than men in the same jobs. Men are more comfortable asking for higher salaries, bonuses and promotions. Why aren’t women? The greatest culprit could be a female’s mindset around money. Many of us carry stories of money from our past. As a child, I saw my father waiting until Sunday at 6 pm to call his sister in California, when the long-distance rates were at their lowest. My parents would borrow money from the bank to take us on a family vacation. They did their best to provide us with a comfortable lifestyle, but we felt the underlying concern about money. I saw myself being concerned about money as I got older. Realizing that I carried the weight of scarcity throughout much of my life was a huge awakening. It was never something that was done intentionally. Deep in the recesses of my mind was a story about not having enough (money); there not being enough (to make money). It was a hard pattern to break. This mindset was a part of who I was, and it was hard to separate from it. Could I let go of this and believe there is an abundance of opportunities, money and good paying clients that can come my way? I worked at it – very consciously and yes, things changed. Well-paying business opportunities became available and I stretched myself to ask for a lot of money. Believing there is an abundance of possibilities AND I was deserving of them opened these channels. Opportunities were always there, and it felt like suddenly my eyes were open wide enough to see them. It is a common fact that the access to capital is more limited for women. And to grow their business, women, like men, need money to invest in marketing, people and overhead. The starting point to make this happen is within themselves. By shifting their mindset from scarcity to abundance, they can start seeing themselves as high income earners. This can take courage. It may require one to walk away from some opportunities to allow room for higher paying ones. It takes confidence to get paid one’s worth – without understating it. This mindset shift comes from understanding the qualities of a six-figure woman and owning them – even if it starts with faking it. These steps work and can be what is needed to finally close the income disparity between men and women.